"We come back okay. Sooner or later, faster or slower, we all recover." There was a point where I honestly doubted whether I would ever walk out of the shadows of an unfortunate turn of events. I remember the last time I was so upset and so affected was when my best friend for four years suddenly refused to talk to me one day, and I felt so lost and so disorientated. Maybe I was once again affected when I had my first "unfortunate turn of events". Initially I felt a deep sense of gloom and pall that shrouded me almost all the time. I tried my best to be functional, and in certain ways it worked. I laughed harder (than usual) at jokes that weren't that funny, I smile at everyone and at everything and tried to be extra nice to people around me. There was a constant nagging feeling within me, and I couldn't quite place a finger on it. I felt hypocritical in trying to be extra nice and kind to people around me - all I really wanted to do was to look like soursop, clam up and wallow in my own misery. But I kept reminding myself that despite anyone's cheerful countenance, he/she could be having a really bad day (real life example being myself), and the least I could do is to not make their day worse with my unfriendliness. Trying to be happy was tiring. Forcing oneself to be happy was taking up every last vestige of my willpower. I felt a constant temptation to just let myself fall into an abyss of self-pity and desolation: I am feeling down, why would I still care about how others feel around me? Why would I care if my mom is worried sick about me and my dad took a day off just to enlighten me on issues? Why would I care if my best friend took a cab the moment he booked out from army because he felt that there was something wrong in the way I was messaging? But thankfully, I cared. I tried to look past all the shadows to see the scintillating beams of the sun that tried that hard to break into my thunderstorm. Thankfully, I tried my best to appreciate every little thing that every single one of the people around me did for me. I can't say that I did, because definitely I appreciated some support more than others, but hey, I tried. For the first week I thought I was depressed since every now and then I would cry for no reason. First I would cry because I was sad. Then I would cry because I was angry with myself for being sad. Finally I cry some more because I didn't know what to do to make myself stop crying. Each time I felt upset, I will learn a new, funky and cool English word in my brand new word-log. My first word was "scintillating". It meaning sparkling and shining brightly. It is a beautiful word that calmed me down and make me feel at ease with myself. One of my last words learnt was "compunction" which means a feeling of deep regret, which is also a lugubriously beautiful word. Melancholy can be sweet in its stinging beauty. Learning the new words helped me a lot for a day. In fact, I learned 26 words in one day when I had the most moments of "down". Tragically, I learnt only 26 words in total because my brain fizzed out and spluttered to a premature death after trying to remember all 26 words, and it is with much compunction that I announce I cannot actually remember all 26. I also thought about reading the dictionary. It is a good form of distraction and reading it makes me feel smart. Not wise. Just smart. Then I started to think about my life and to analyze the whole situation in full. Have I tried my best? I think I did. Was there any other things that I could have done? Not without over-compromising on my behalf, which won't be healthy in the long run. This aptly summarizes my new way of looking at my problems (and at my life). 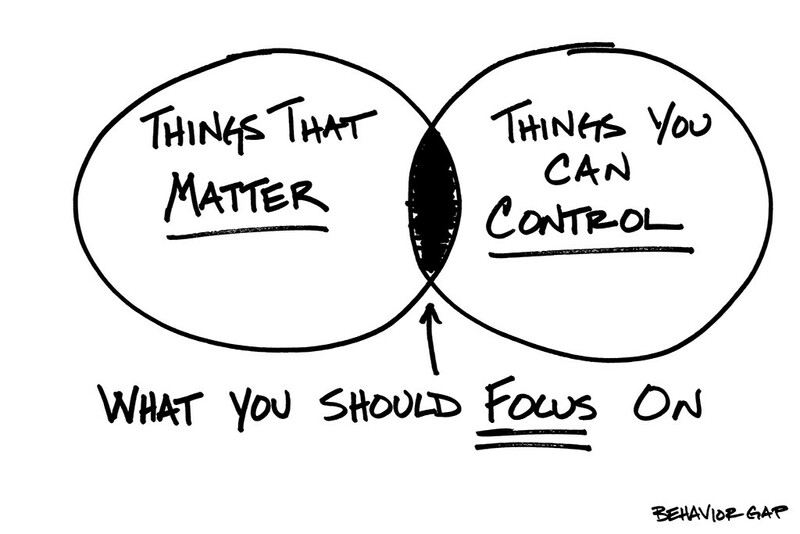 There are always things that matter to me, but I can't "control" all of them, which means that no matter how much energy, time and resources I focus on them, it may not turn out the way I want it to. In the same vein, I realized how I have absolutely no say in what other people (be it your significant other or once-significant other or even your friends) are going to do or say, so the only I can do is to not let what they are doing affect my own well-being. Which also means that I have to look past all of it by accepting that this is life, and simply said, we move on. Things I can control is easier in theory, but harder in practice. Some things are easier to be controlled, such as how much effort I put into each area of my work; how dedicated am I to my students both as a mentor and as a teacher; how much practice I need for inline-skating before I go past the stage of being a noob. Emotions are a bit harder, but not completely unable to be rationalized. Rationalizing things puts them into perspective and allow me to come to terms with things that I have no influence over, and to let go of things that I cannot change or improve. "No one can forever be here for you. You have to be contented and enough with just having yourself." The previous time this happened it was during holiday. I had all my friends to be with me and tide me through the hard period by allowing yourself to forget about the unpleasant among their upbeat company. This time it is lonelier. It is not the loneliest yet, but it is definitely lonelier because there is school and everyone is extremely busy. Hell, even in my malfunctioning days, I had to function to cope with school work and my other responsibilities. I tried hard to compartmentalize, sometimes succeeding, sometimes failing. But it is also in this solitude that I felt that I matured. I realized that I was capable of handling crisis better alone, though I still have support from my friends. I also realized that what others can do for you is very limited if you aren't doing anything to help yourself. They can give you advice, they can enlighten you, they can cheer you up by a (rather unfair) disparagement of your unfortunate target, but ultimately, I had to lift myself out of the circumstances. Yours friends and family provide 20% of the support. 80% is up to yourself. I realize in such circumstances the easiest way to deal with things is to see ourselves as victims in a situation or unfortunate people suffering from a poorly planned (or totally unplanned) situation. It is easier to push the blame to other people and wallow in self pity and bash the other party by sharing our stories with our closest friends in our own skewed, self-victimizing perspective to hear them agree with you how bad the person is, and how fortunate you are to be without them. I am not ashamed to say that I did that too. It is one way to cope. Not the best way, and definitely not a way that helps me mature and improve with time. I also try the ostrich method of telling everyone around me to not bring up the situation, either by pleading them or warning them. "I don't want to hear about it," I stressed, "I don't want to think about it." That didn't quite work out either, though it is a good method to adopt if you are in extreme pain but don't have the luxury of time to deal with the pain, blocking it out temporarily is a good way. Then I went into a period of self-blaming. Had I done enough? Had I tried enough? Was I the one who cause things to be the way it is today? What could I have done better? Should I just shamelessly hold on anyway? This period is harder to cope with, and definitely need much more rationalizing and support from wiser seniors. My parents, my tutor, my friends were wonderful in helping me to see things from a clearer perspective rather from one that puts all the blame onto the self - that is exceedingly unhealthy. Putting things into perspective means to see what one could have done better and what cannot actually be achieved through one's own efforts. It also means recognizing that the other party is made up of their strengths and weakness, good traits and bad traits and being able to acknowledge and appreciate both at the end of the day. It is too often in love that we see only the good traits and in endings that we console ourselves by seeing only the bad traits. It took me a while to understand and appreciate that both exist in a person. When I did, I came to terms with things. I came to terms with myself too - no more self-blaming, and no more self-victimizing. "I must be taken as I have been made. The success is not mine, the failure is not mine, but the two together make me." Alex Fussel (I am quoting you like you are a master of philosophy) once told me, "Don't focus on the emotions and the bad experience, but on what you have learnt from this experience, and how you can become a better person from this experience." In short, love irrationally. Let got rationally.